I have been both: the dark and the light. I have been both the victim and the persecutor. I have experienced ego to its extremes of illusion of control, and I also have been blessed by the divine Grace of illumination. I have experienced both anger and joy, revenge and hatred, love and pure compassion. I have been all these people. I am all of you. I am beyond that which is called ego. I am eternal divine Love. Wisdom is the precious nectar that I collect after all my inner work as a dedicated bee/pupil of life on Earth. All the self forgiveness and forgiveness towards others is the ultimate work of the master within. Humility and the courage to face the truth is very scary to the ego. And yet, it is the only path to true liberation into the authentic Self, where ego takes its righteous place as the servant to the Soul and heart. Ego becomes the joyful motivator and collaborator to our ever infinite expansion and growth into more of our veritable Light. Heart and Soul lead the way, always. This is my real work. To focus within, and look beyond the past hurts, beyond the illusory reality we have been playing in. To incarnate the inner master within, I must deliberately focus my attention within my inner truth, my true heart’s guidance in a balanced and wise way. My most difficult work consists of being part of this world, and yet, not so much of it in order to create what truly resonates within my true being. As I gave away my power every time I cared about what other people thought, did, and expected of me and of this planet, I turned away from the inner knowing that all is created from within. I turned away from my own capacity to choose for myself, and let others choose for me. Which in itself has been an interesting experience and taught me well. The source of all suffering is when we deny ourselves of the truth and extent of our true Power. Now that I remember who I truly am, I am blessed with the veil being uplifted on my temporary amnesia. I remember and realize all that I am within, first. Dedicated practice to look within with Love and Compassion, to look outward into the mirror of truth is the opportunity we are presented with every step of the way. The wisest ones used to teach that illumination and practice is one and the same. It is not so much an event, as it is a continuous process without beginning or end. It is an infinite upward spiral, if you choose so. Becoming aware of one’s every thought, becoming aware of how it truly serves you or not in each moment is a very powerful and refined art that requires dedicated practice and devotion to the evolution of one’s own consciousness and that of All that is, for ultimately, one’s transformation affects all. This is the true Service of the Lightworker. This is our true purpose, whether we realize it in our own way through our own path as unique individuals walking on Earth at this time, and immemorial times past and future. Look into the eyes of others you encounter on your path without judgement but using discernment as you see into the windows of their Soul. Become the compassionate observer, and offer your divine presence as an uplifting embrace. Let go of all your attachments and judgements. Ultimately, let go of all of your fears, look right into them and make them your ally so that they do no longer control you. You only reclaim the Power that is You when you melt and die with your fear. Then, and only then can you be truly free. Unconditional Love is who we truly are; it is our divine inheritance. And yet, it takes practice to ground and anchor it more within our earthly being. As with everything, the more you practice the more it becomes easier. Love naturally flows with ease and grace. You are meant to flow with ease and grace. This is the promise of the shift. Of the New Earth. Let it come, with your devotion and the power of your intention. Trust in your intuition – in your inner knowing – about when and where to be in each moment. You are always where you are meant to be to serve your purpose. Life is truly magical. We are magical beings. It is imprinted into our DNA. 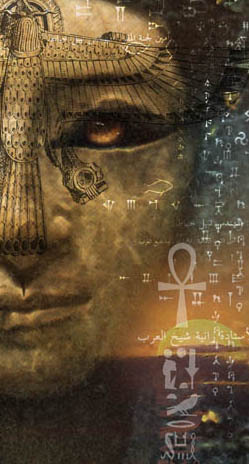 Our divine blueprints as Gods and Goddesses, Creators and Weavers of the Light is right here. Within, ready to emerge and be realized once again. There are no limitations whatsoever to what you may achieve, other than your own beliefs. The inner Buddha/Christ lives within all. 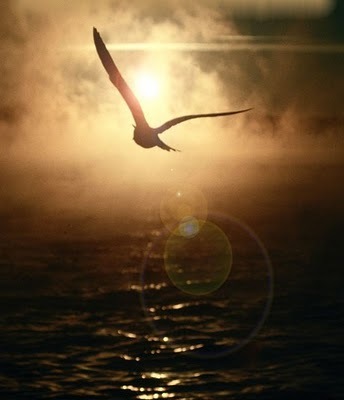 It is within you, ready to soar and shine brighter and brighter as you read these lines. The time of your sufferings is over. The power is within your hands. It has always been within you. You always have the choice to look deeper and beyond; into the higher purpose of things. Apparent challenges are only opportunities to discover the power of your inner Light. All serves your evolution and transformation into who you are meant to be. Trust in the infinite wisdom of Soul. The whole Universe is at its service. This is what teachers and masters have taught for ages. This is what your inner master naturally knows. Let her/him lead the way. You are more than ready. For you are the ones we have been waiting for. As we are part of each other. We step forward now to help you better understand and feel the diamond frequency available to all of you, so that you anchor it more fully, should you desire so, into your own vessels. The diamond frequency is a high vibrational frequency that has been gradually deployed upon Gaia and humanity in the recent years. Since the Harmonic Convergence of 1987, though more predominantly through the revolutionary shifting of times since the end of 2012 from your earthly calendar stand point, and beyond. Many of you have been prepared to anchor these diamond rays on a grander scale in this special Earth energetic transition through awakening and bringing more of your core Consciousness into your bodily vessels here, now. Some of you have felt and are still feeling several of what is often referred to as “ascension symptoms”, since you keep raising your vibration as you bring down more and more of your full divine Selves (pure Light Love). This is indeed no news to the ones who read this. However, so many of you have been and keep bringing their crystalline/Christ Selves into the physical, thus raising their vibrational consciousness to the crystalline/Christ consciousness (or Higher Self consciousness), aligning your will with God’s will. 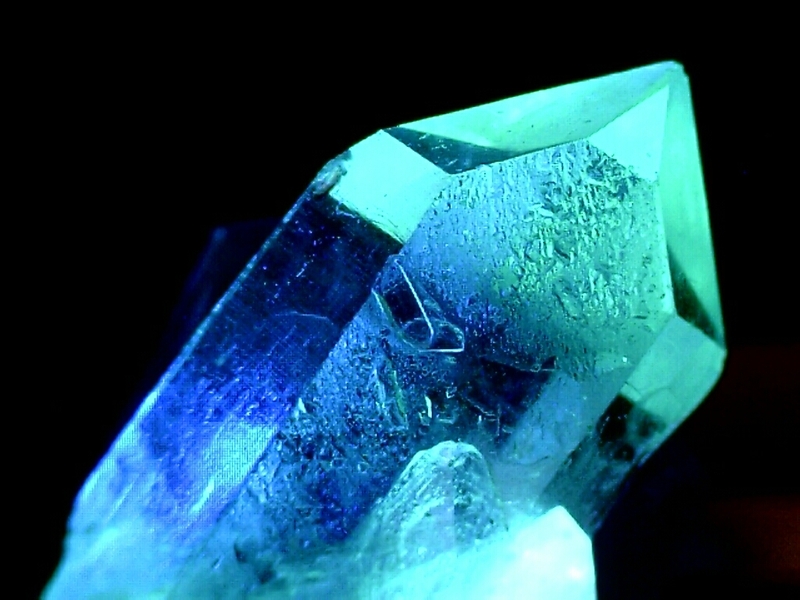 For many of you though – including the so-called crystal children – have felt and are still feeling the many “discomforts” of such purity and crystal-clear clarity as you settle within your Being the crystalline/Christ consciousness, since in doing so you have and are becoming so much more sensitive and aware than ever before, especially as the overall humanity consciousness “slowly but surely” catches up with these frequencies. In doing so, many of you have been able to feel, see, and transmute much lower vibrational energies, not always of the agreeable and pleasant kind, whether these were from within you (your own shadows/not Love-based), as well as from others and your surroundings. On this journey back into unification and Oneness, into anchoring and becoming more of the Real You (divine Self), you are bringing, settling and stabilizing the master consciousness of You evermore so. This diamond frequency is both a metaphor though a very real frequency that walking masters upon Gaia have embodied and brought into physical manifestation again and again. This is what so many of you are anchoring and incarnating as you keep raising your consciousness, and realizing and integrating fully your own mastery as you bring your ascended mastery consciousness within. 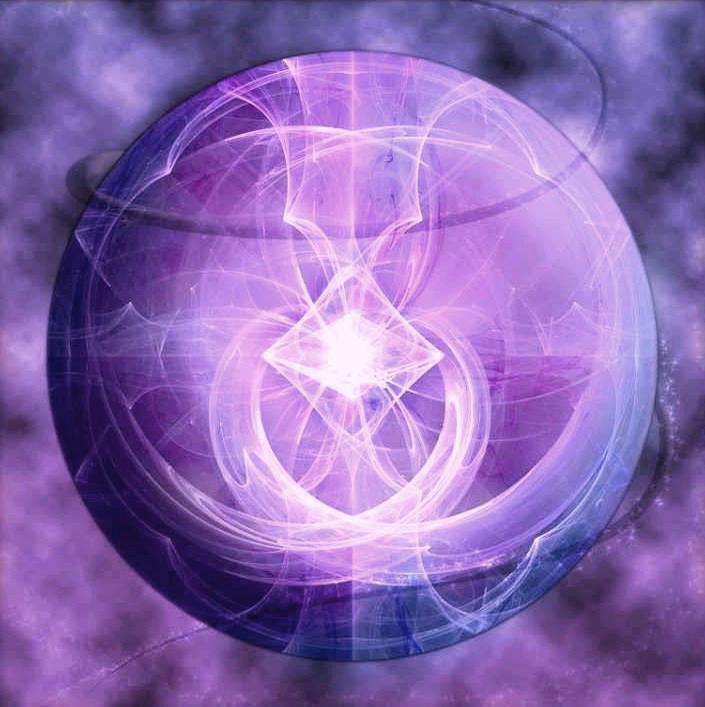 You will or might still need to call upon the violet and platinum flame for a while in order to help you keep your own vibration high and transmute the energies that you no longer need, as well as to help soften, heal, and recalibrate the planet. Nonetheless, as you surrender to the Universal Consciousness of You, and thus God’s Will (your Soul/Monad’s will) more and more into Love, Compassion, Devotion, Integrity, Forgiveness, Truth, and Service, there is this strength, higher stability and balance that is achieved and maintained easier within you, no matter the external circumstances surrounding you at any given moment. You are incarnating your own perfection; the Diamond Light of You. You still are aware and feel greatly the diverging energies within and around you. However, at the same time you become more stable within the calmness and Love of You so that you keep your inner balance, clarity, and the flow of Love continuously streaming within, through and from you nevertheless. This, of course, comes with dedicated practice and determination, hand in hand with your heart/Soul intentions in the Now. Dearest Souls and companions on this incredible journey, please take heart as you continue to release and surrender to your Soul path and desires for you, revealing and allowing evermore of your Christalline and Diamond/Adamantine Selves in the Now. Keep reaching and asking for the highest good and highest frequencies to come unto you as you settle within the diamond frequencies of Light to help you fulfill your destiny, purpose, mission, and wildest dreams. Wise Souls: no more fears can perpetuate within the realized Diamond Consciousness. Know this. Anchor it. Integrate it. And SHINE! Have we not stressed enough that all of this process into higher states of Love, Joy, Ecstasy, Wisdom, Power and Oneness is realized and brought into physicality through the same and most powerful Light there is: the Love of God. I salute the God/Goddess within you all. You are one with All That Is, for you are All That Is. 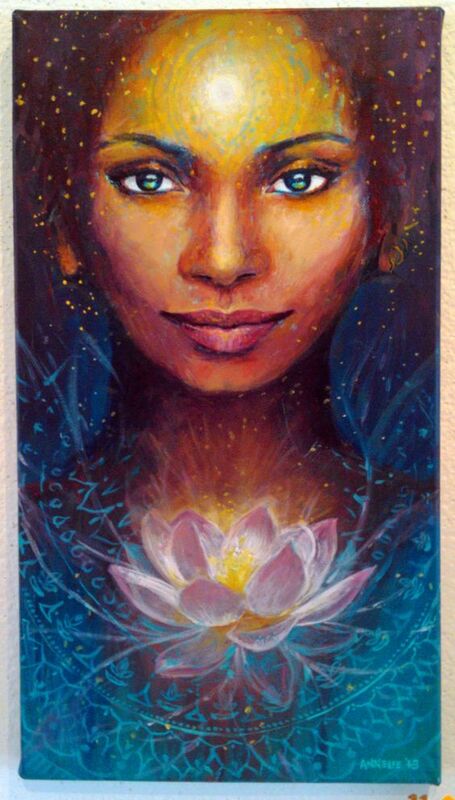 Today, I feel guided to speak about my personal experience involving my own spiritual transformation into balancing and owning my power: the way of the clever woman/man into mastership. As many of you I believe, I used to be very impatient with the way things unfolded and the time it took for the evolution of my inner transformation. One of the biggest lessons in life is to learn to embody patience and trust, which are essentially the same thing. Wherever you feel “stuck” is indicative of an area – shadow – within yourself that needs acknowledgement – light – and love in order to transmute your own inner hindrance and imbalance. 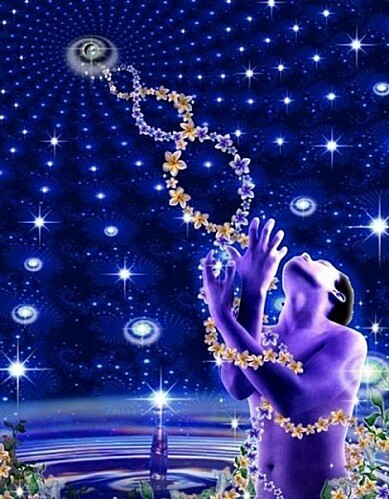 Now, ascension is really the descension of your Higher Self into this physical plane on Earth. One of the many traps that many of us on this chosen path encounter is to beat ourselves up for not achieving the inner peace and state of joy faster and longer into the physical 3D, which is still about wanting to control the how and when of the outcome. All along the way, it is important to recognize this fact within us while not getting into more of the “beating ourselves up” for having done so. The key is literally forgiveness and love in all directions, and mostly towards yourself each and every time you find yourself doubting and experiencing unpleasant emotions. This is all part of the liberation process; the soaring free eagle that you wish to be. So you can’t just rush the process, just as you can’t rush the rhythm of a beautiful musical symphony in sections where it needs to slow down and even breathe into laps of silence. Oh! And those are so sweet and delectable, meant to be exactly where they are for appreciation of the Now and of the Whole all at once. Mastery of Self, as you know, is a process in of itself of claiming back and owning your Power. It is an ever-expanding process through practice. Even if we do have all the help from our spiritual team (physical and non-physical) and the energetic shift of the Ages on Earth in synch with the entire galaxy, it is still something that requires diligent practice and respect for the rhythm of the cycles and phases of it. A “naturally gifted” born dancer still has to practice and develop his or her skills during many years in order to master the art of dance. The spirit of the trees and the elves collective are coaching me to integrate balance and allow the flow of trust, love, and confidence within me. They are showing me how to clear and transform my thought patterns so that they become more in harmony with the symphony of who I AM and wish to become in this earth plane. 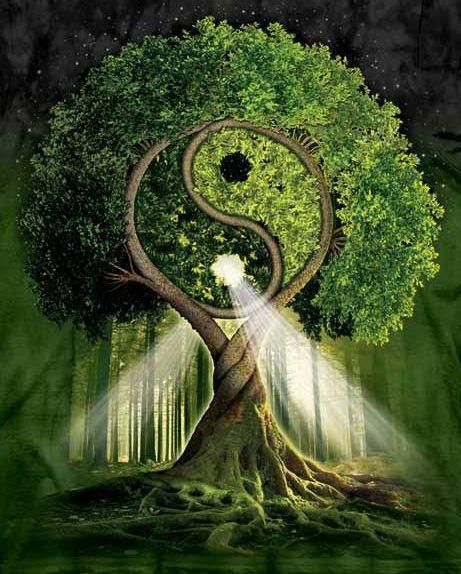 The trees teach me how to energetically ground myself (my whole Self) into the Earth to find balance, stability, and thus, power and efficiency in equal measure, while reaching for the light and practicing the highest nutritional thoughts and feelings. They are helping me to trust in the unknown; into the Great Mystery. This is the wisdom of the heart; of the divine feminine balanced within. As long as we cannot accept and trust this essential part of the All That Is and of how Creation really works, then we shall always fall short into resisting the very process that sets us free. The fear of the unknown is the fear of losing control. The fear of losing control is the fear of death itself. Dying is truly an empowering act. This is where real transformation and freedom become possible. Why being so afraid of the unknown then? Why being afraid of the very Magic of Creation? These are very important questions you might ask yourself. To help you see and transmute the imbalance within. Through Love and Compassion. In this life’s journey into awakening and incarnating your full power and majesty, you are constantly guided to look into the mirror for the gifts of the Truth within and without (which are often blessings in disguise). Finding balance within the center of your sacred heart truly helps to ground the wisdom and guidance of your Higher Self in the Now, so that peace and innate knowing leads the way of your life. We do have tremendous and numerous helpers on this journey. Yet, this remains an individual journey in which you need to participate through your will and devotion, since You are the main actor, scriptwriter and director of your life and destiny. In honor of all the helpers and guides from all kingdoms on Earth and the Cosmos, but mostly, in honor of your own inner journey, I salute you. The only way you can truly help others is by continuously achieving Balance within. And that sometimes – or oftentimes – requires learning to say “no”. Compassion for others means loving them where they are and letting them become their own masters through learning their own lessons. This is true Love. True Love of Self through Self-Respect. True Love of others through innate Compassion. As healers, forerunners of the Light, and magic weavers, you are often called to help one another. Self-care and Self-nurturing are essential. This is a priority; a necessity, for when you practice your alignment with Self/Source Love, you align with the magic that is You. You thus can achieve anything and truly walk on your divine path and Soul’s purpose. Whether you suffer, are caught in a co-dependent relationship of any kind, feel like a victim or are constantly looking outside of yourself for love and validation – whatever the challenge – the key/answer shall always remain the same: Self-Love. Practice loving yourself unconditionally, and you shall achieve the freedom within that you seek. Self-Love is key to be a balanced master. Every challenge that comes in a spiral-like fashion – that seems to repeat itself – is there to help you achieve this Balance within through complete and unconditional Love for Yourself. This is what we mean by parenting your inner child. Practice Compassion towards yourself first, and Life will truly become a magical effortless wonder of excitement and serenity at once! Make yourself a priority, dearly Beloved Souls, for you deserve this stable Peace. We wish to further clarify much activity that is occurring during your sleeping time. Most of you are aware of this, even if you cannot remember much upon awakening, or, that you are unable to understand all the meanings and messages that you are receiving as dearly human channels that you are. Please do not worry, because as always, your Soul knows it all and will give you the insights and clarifications that you need throughout your daily activities that you call meditation, prayer, conscious dreaming or daydreaming, and through your intuition/inner knowing, always when you are ready to fully realize them. You are given and are remembering all that you need in perfect timing and synchronicity, always. Throughout this message, we will refer to these loving energetic transmissions as keys that your Soul already knows how to use. Some keys may seem new to you, but trust that you are given what can help you on your path and what you can make use of always for your highest good and the highest good of all. Take what resonates with you, and leave aside what does not for now. All of this might not always seem very practical to you in your day to day awake life, but you will discover/remember that this is all in response to your prayers and desired outcomes according to your Soul’s path (what pulses deep within your heart). In order to properly operate and receive everything that you have requested as Light bearers on Earth, there are still much clearings of the pent-up energy that is undergone during the sleeping time. This is a very natural process and it happens for every living creature on Earth. Nonetheless, since many of you are so advanced in your spiritual growth (i.e. ascension), you cannot hold anything that hinders or slows you down, even if it is very minimal in its scope. You are vibrating at higher and higher frequencies, and so, you are becoming “too” light and sensitive to maintain any sort of blocked/pent-up energy within your field. Please do not feel discouraged as some old emotional issue, thought-pattern or even a physical issue comes up “again” which you thought was over and dealt with. Rather, take it as a further sign from your Soul that you are very advanced on your ascension path and totally supported to keep on going into a fuller incarnated version of your immense multidimensional Be-ingness. As you are aware of, much of this recent and ongoing clearing dealt especially with the subconscious beliefs and emotions (water element) that no longer serve your best interest, but also, as we are entering the powerful sign of Leo, much of this clearing now concerns the element of fire such as the emotions labeled as anger, frustration, jealousy, obsessive passions, and fear related to survival issues (base chakra), which stem from past and subconscious beliefs connected to illusory limitations about living and manifesting your dreams in the physical. Many of you will be happy and delighted to confirm their inner knowing that they are fully supported and guided in a myriad of ways towards the manifestation of their deepest desires and visions. As you keep being reminded through an infinite number of sources: avoid getting attached to time frames and let your Soul guide you. Do you still think that your Soul/Higher Self does not know what is best for you? Do you believe that your Soul/Higher Self does not know about the yearnings of your heart? Well, you must know by now that your heart’s desires and dreams ARE your Soul’s intentions in this lifetime. Trust your Soul to lead you and bring to you everything that you need to make your heart sing. Forget about the details, the how and the when. Consider it as done and fulfilled. And remember, this is the New Era where all of your dreams and visions are fully supported and welcomed. Forget the old ways and what has happened to you in the past. You learned your lessons and expanded throughout, but you don’t need to hold on to your lessons anymore. There are too heavy. They slow you down and will not operate in this new reality. Trust your Soul. You are all masters, and as any master, you keep on expanding forever more through continued learning and serving humanity on Earth and all humanities in the Cosmos. Everything is co-related – since All Is One – and happens in divine synchronicity. 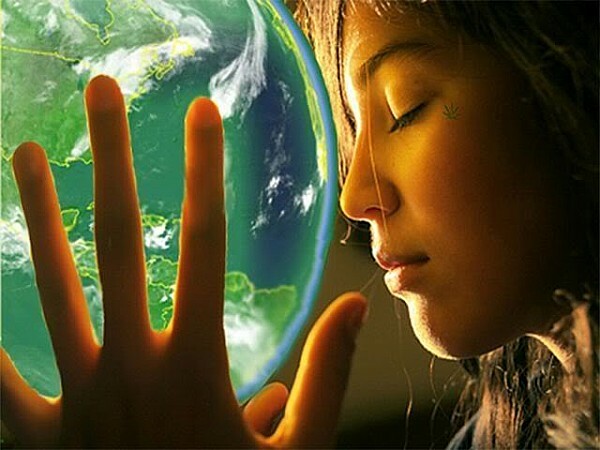 The knowledge and memories about the Earth’s history, your divine co-purpose, and the akashic records are being revealed and activated more and more within each individual who is ready and willing to Serve with an open heart. This knowledge/memory is being relayed a lot in the dream time through several temples of initiations (schools) and cosmic libraries such as the sites of Machu Pichu and the Sphinx. 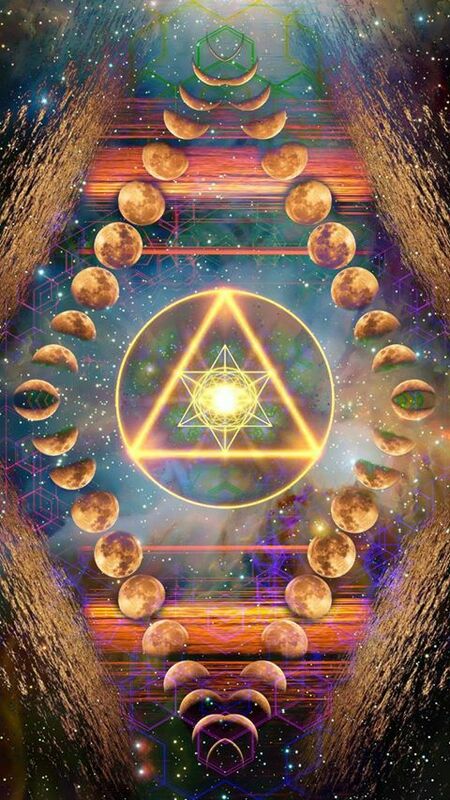 Many are led to reconnect/remember the use of their merkaba through the connection with their hearts. The heart is the first organ to form in the womb. You can take your time to sit with this, and let it flow within and through you. Do not force anything to happen. All is well. If you wish, you can leave the rest of the message aside for later. Only do what feels right for you. Now, we would like to attract your attention on the geographical area called Peru and Bolivia – Lake Titicaca – where we may say that the siege of Earth’s kundalini is currently located. 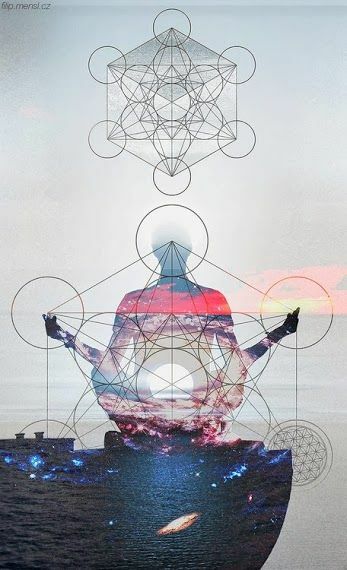 To not get you too confused, we will suggest that a “primal” energy vortex is located in that area (life force energy vortex directly connected to the crystal core of the Earth, or Flower of Life), as it is where it all began. *I am being shown that the seed of the human race started there long ago, much before the Lemurian and Atlantean times. The fire month of August further activated the life force (kundalini) of the New Earth, and announces the return of the dragon people – also known as the reptilian race – to bring back balance to the fire element. It is no coincidence that the Chinese people have called this important year of 2013 the year of the Water Serpent; i.e. clearing and removing the old skin, transmuting the emotions through the fire of Love. The Mayan and Incan people have announced the return of the Quetzalcoatl (the feathered-flying serpent/dragon); it is happening now. Many of you keep ambivalent and even painful memories and fears related to your reptilian heritage, which forms the bases of your DNA[i]. Even this channel feels reluctant to tackle this subject, as she feels she knows very little about the dragon/reptilian race, or so she thinks. Because all of you incarnated in a human body on Earth, know that you carry the seeds of your stellar parents within you, even if you come from the confines of the Cosmos and feel that this is your very first time here. You carry within you the seed of Love and Wisdom from all of your parents; i.e. Pleaiadian, Sirian, Lyran, and Draconian (Dragons, also called Annunakis) as well as your solar parents Vesta and Helios (Milky Way’s sun). Balance is key in order to offer you a stable foundation from which you can reach higher levels of being. Balancing all the elements and balancing your bodies is key to ascension; it is key to your alchemical transformation. For a long time, there has been an imbalance within the fire element due to the “inevitable” choice of experimenting duality on Earth, and hence, functioning on a limited 2 strand-DNA. This has led to very “primal” and destructive behaviors and events of all kinds. That is why most of you associate the reptilian heritage to something quite “undesirable” and negative. You can have a quick look at the role attributed to the serpent in your mythological tale of Adam and Eve. This “negative” role and its perceived consequences are still very present within the psyche of humanity throughout the planet. However, humanity’s psyche still holds the higher truth linked to the fire element often represented by the powerful serpent as a symbol of deep transformation/rebirth, healing, and alchemy. During the times of illusion created out of the choice to experiment duality, you often came to perceive what you most craved for as the “enemy”. It is understandable, although it is quite ironic as well, since looking into the mirror can be quite painful and unsettling at times. But by now, you are well-trained into looking at your own reflections, and you know that it is an essential and crucial part on the path to enlightenment and true freedom. You are thus part of the dragon/reptilian masters who are bringing balance to the extreme expressions of the fire element in order to further activate and release the divine life force within you, and in doing so, bringing peace and stability within the base of your DNA. The solar/fire energies of the dragon people and of the Lion archetype (Leo sign) as represented by the Sphinx will help you to ground and balance the fire/life force within you, especially throughout the month of August. Do not forget to ground yourselves as much and as often as you can by connecting to the Earth’s core through your earth star chakra (located below your feet). Spending as much time in nature as possible, especially among trees, will do you immense good, and bring much healing and energy to support your DNA transformation/recovery. You can also use the help of crystals and stones to help you maintain an anchoring of your energy and awareness into your physical body, especially for those of you who cannot go into nature as often as they would like. 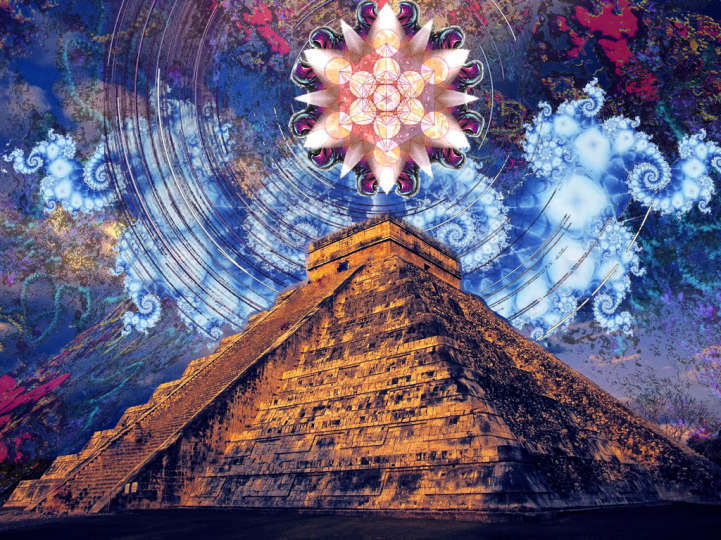 Even if your higher chakras and DNA-strands are gradually and continually being activated, you will always need a strong and stable foundation from which to operate if you wish to go higher and not collapse in the attempt. Know that we will always help you in doing so. It is time to make peace with all that you are, and with everything that has happened on Earth, whether you were here to experience it or not. Because, remember, we are all One. 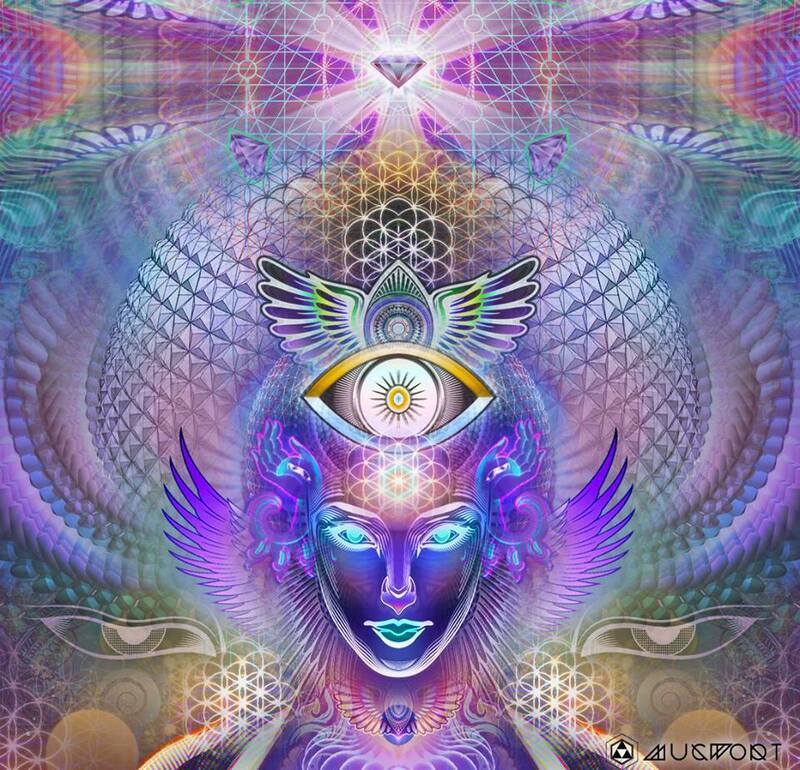 Keep focusing with the eyes of your hearts, dearest ones! 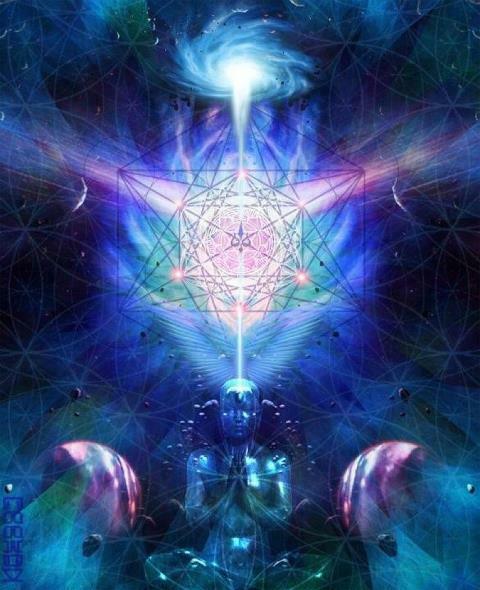 We are, archangel Metatron and the Council of Light, also known as the White Brothehood of Light, and the Order of Melchizedech from which you are part of. [i] All forms of life are divinely created and thus, are from the Divine Source. There is no such thing as a bad or lower race which has led you to believe so within your narrowed vision stemming from duality thinking. However, you have chosen to embrace and experience the full spectrum of possibilities of experiences, often to such extremes, that your subconscious keeps painful memories and sometimes associates these to the responsibility of one or several entities, thinking that they are not related to you at all. Yes, every living creature chooses its own path and you may not agree with another’s choices. But in order to be at peace within, you need to make peace with all of the opposites and extremes within you, and go/see beyond in order to be free. Many people are hypersensitive. They cannot stand the noise, aggression and hasty pace of modern society. Often they suffer from psychosomatic disorders and insomnia. What other folks take for granted, for example going to a family party, is quite a chore for them. Simply doing what other people consider normal often turns out a disaster for them. As a child they are often misunderstood and underappreciated. Because it’s hard for them to stand up for themselves and because they easily dream away, school time is tough. Building a career and becoming successful according to society’s standards often doesn’t work for them. They more or less muddle along at the fringes of society. Participating in mainstream activities is experienced as exhausting and draining. Because of all this, their self image isn’t very positive; they often feel insecure and inferior. Their thoughts are gloomy and may repeat themselves endlessly. Of course, this image is somewhat of a caricature. Yet many people will (partly) recognize themselves in it. Let us now focus on some of the positive traits of hypersensitive people. They appreciate peace and quiet and long to live in harmony with their fellow humans. They are sensitive to beauty, especially the beauty of nature. They are very empathic and open to the spiritual. They have a rich imagination. To their own surprise, people who are in trouble are naturally drawn to them and come to them for guidance. What is the matter with these people? The answer is that they are not (just) hypersensitive, they are highly sensitive. In fact, they are angels in disguise. Every living being emits a certain vibration or aura: flowers, the sun, people, animals, plants, and also human society at large. You are highly sensitive when your vibration, your aura is more refined and delicate than the vibration of human society. Imagine a radiant, beautiful angel descending from heaven to be born in a human body in a modern metropolis. The angel has a hard time coping with the noise, the chaos and the ugliness of the world around. Where is the serenity and beauty of nature, where are the flowers? Where is the deep inner knowing, the sense of unity with the cosmos? The angel feels shattered and alienated. The world around does not nurture or acknowledge him (or her*). The angel starts to think that there’s something wrong with him and he becomes sad and depressed. As he does not feel at home here, he withdraws and vaguely longs for another reality. The people around him consider him to be a dreamer who does not want to face the facts of life. The angel’s light diminishes. Whereas he was a high sensitive at first, he has now become a hypersensitive. You may wonder why this angel incarnated on Earth. Many angels are incarnate on Earth and every angel has their own motive to be here. There is however one general motive: to help Earth. Through the presence of all of these angels, human society as a whole gains in light and sensitivity. The angelic presence raises the vibration of the world. This happens especially when the angels remember who they are and when their self-confidence is restored. That’s when their light will truly shine. Now imagine that you are such an angel. What can you do to become radiant again, to transform your hypersensitivity into high sensitivity? Realize that you are an angel and don’t be afraid to show it. Believe in your own light, your creative abilities and overcome your fear to show yourself. This is the first step. How do you do this? It’s important to connect to the spiritual. See the world from a spiritual perspective, remember the timeless realm of love and beauty that you originate from and to which you belong. You have always been in touch with this subtle, ethereal reality. 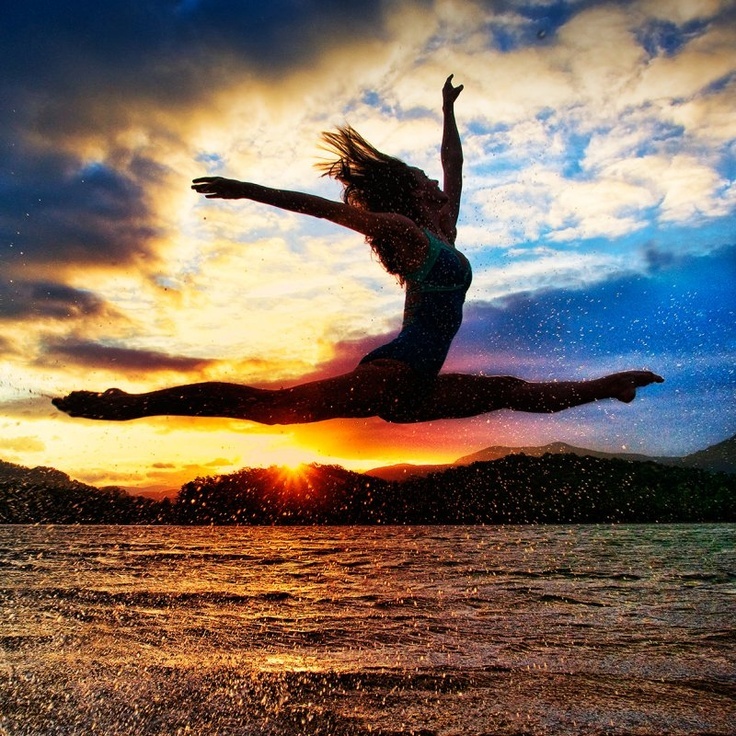 Now take another leap and really believe it to be there. The moment you connect with it, you also get in touch with your own inner core and start to realize who you really are. You remember that your consciousness is eternal and that it is a magnificent source of light and creativity. The moment you feel a part of this other realm, which is your true home, the judgment that human society places on you becomes much less of a burden to you. You realize that your stay here is only temporary and that this hectic, chaotic society will disappear one day and make place for a more peaceful, harmonious and happy society. What this current society thinks of you and expects from you is not so important anymore. More important is what you are here to do, how you are going to manifest your light in this world. By sensing your true origin, you kindle your own light. Light is creative and transformative. You will notice that your environment will start to respond to you differently. Life will flow more easily and people will take you more seriously. 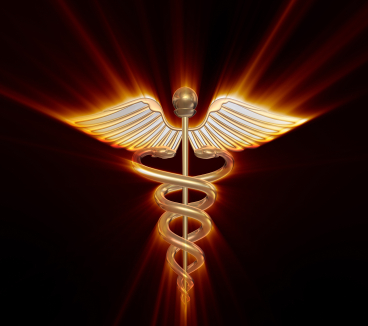 You have taken a fundamental first step in the transition from hypersensitivity to high sensitivity. You are able to truly give your light to others only if you are also able to not give it. If you cannot say ‘no’ to people, your ‘yes’ has no meaning. Learning to set boundaries and to stand up for yourself is crucial. If you don’t do this, your energy flows into a bottomless pit and you will permanently feel weak and drained. To prevent this from happening, you need to get in touch with your male energy. Many people who are inclined towards the spiritual, have a negative image of the male energy. It is associated with violence, oppression and aggression and considered to be not spiritual. As a result of this negative attitude towards the male energy, many spiritually inclined and hypersensitive people feel disempowered and unable to stand up for themselves. The solution is to understand that there’s nothing wrong with the male energy per se; it is the imbalance between the male and the female which causes the problem. By regarding the male energy to be inferior, many people weaken their own strength. This happens particularly in sensitive women. Especially when you go through a process of spiritual growth, it is of prime importance to connect with your male energy. As soon as you take step 1 and become more aware of who you really are, you will distinguish yourself energetically from your environment. Your light will be noticed. This will attract to you what I call energy leeches. These are people or other entities, for instance the organization you work in, who will feed themselves with your energy. They deprive you of energy without giving something back to you. If you’re not able to protect yourself in such an environment, you get stuck. At this point, you need to use your male strength. Embrace the male part of you, your inner man, and trust him. Let him take the shape of a sword in your hand which severs the bonds between you and everything that deprives you of energy. A common pitfall in using the sword of your male energy proficiently is the notion of equality. “We are all equal and therefore I should not distinguish myself from others, and share what I have with them.” The idea of equality is right to some extent. At the level of the soul we are equal. At the level of manifestation however we are not. Some people are more able to let their inner light shine through than others. By not acknowledging this, we give energy leeches free range. 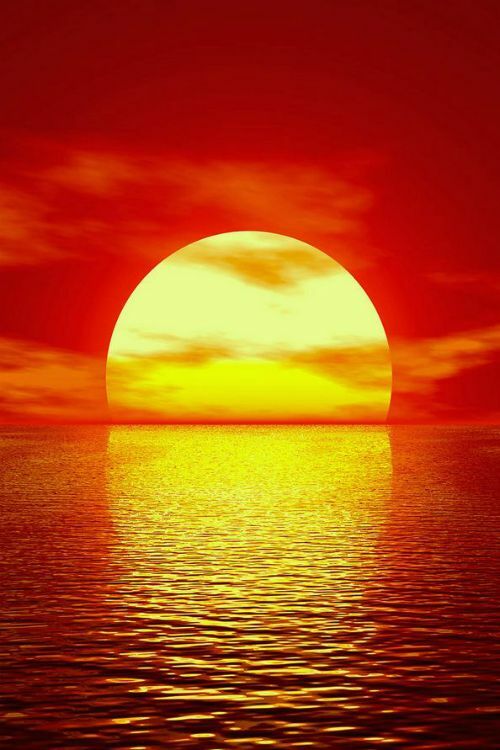 Especially people who radiate much light and who have much to give, should protect themselves. Be aware of who or what you give your energy to. Not everyone is ready to receive what you have to offer. Do not let your most precious gift be dragged down by people or organizations who do not match your vibration. Use your male energy for this purpose. Many hypersensitive people feel resistance towards living on Earth. This resistance is partly due to the fact that they do not feel at home in modern western society. The energy of society does not match their own and they feel alienated by it. They want to leave; they subconsciously remember their spiritual heritage and long to be ‘home’ again. They want to go back to the peace and harmony of the heavenly realms, which contrast so sharply with the noise, fear, aggression and anonymity of present day human society. Apart from this reason for feeling resistance towards living on Earth, sensitive people also have intuitions about what happened in their past lives on Earth. Often they carry memories within of war, persecution and other forms of aggression. They remember trying to be and do good on Earth and being violently rejected for it. To overcome your resistance to being here, it’s important to distinguish between the energy of human society and the energy of Earth itself. To do so, find a beautiful spot in nature. Go there on a weekday when it’s quiet. Feel the energy there, the serenity and peace. 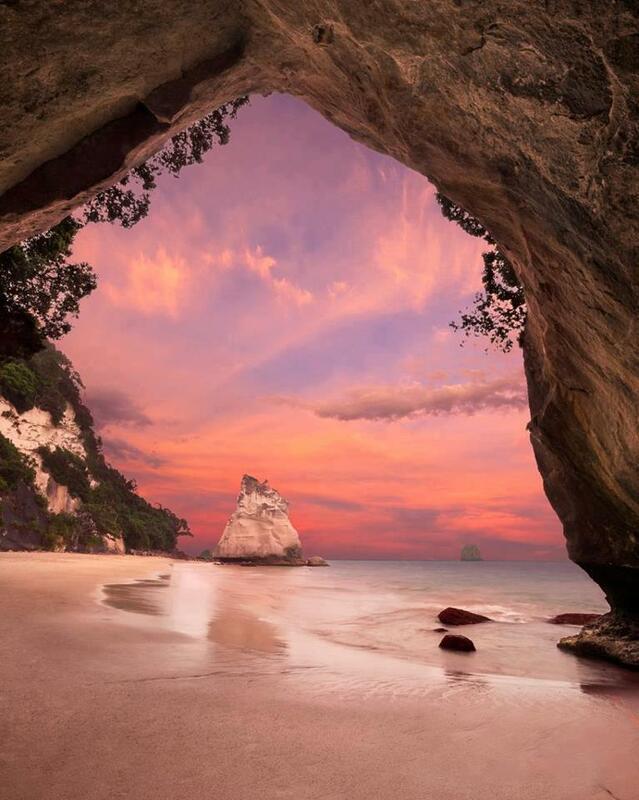 Open your heart to this place in nature and feel all the energies present there. Apart from you there are nature spirits such as fairies and leprechauns, who work closely together with Earth. Now feel Earth itself. This is the Earth you came for, the Earth who reaches out to you and who wishes to support you. Open your heart to her energy and love. 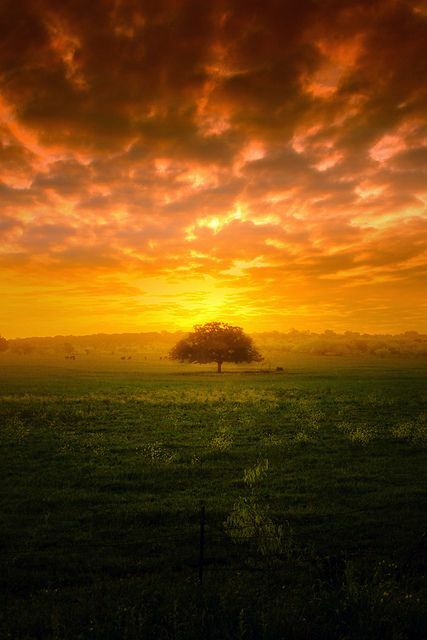 By entering into this connection with Earth, you are able to truly take your place and shine your light in this world. You are able to change the world and make it more beautiful. There’s a place for you on Earth where you feel at home. This place will become a beacon of light that transforms the world around you. Hypersensitive people hide for the world. Highly sensitive people radiate their light freely into it. Your female energy can make the difference between fearing someone and loving someone. It enables you to look behind the mask that someone’s putting on and see their vulnerability. In our hearts we are all good. God is in everyone’s heart. You can use the female energy within to become even more sensitive, to use your empathy to really understand what it’s like to be in the other person’s shoes. Understanding the other from within can help you put into perspective their hurtful remarks or offensive behavior. It may help you let go of it. This becomes possible when the male energy inside is strong enough to protect your female side. When we are hurt by what another person says to us, we are often not hurt by the words themselves, but by our own oversensitive interpretation of those words. Often people are not out to get us, it’s more that they blurt out something which isn’t aimed at you personally. Your male energy can help you to not take things personally. Your female energy helps you feel what is really going on in the other person. By using the female gift of sensitivity, we now see a lot of lights in this dark world around us. Becoming even more sensitive, we take a step towards the heart of our fellow humans, which is often warmer and brighter than we thought. By noticing the light in the heart of the other, this light will burn stronger. Becoming even more sensitive works in two directions: not only do you get a deeper sense of who the other person is, they also get to know you better. They feel something sensitive, warm and beautiful in you that they had not noticed before; by acknowledging the other person, they acknowledge you. This is how you start to feel at home on Earth. Every human being gives and receives. To stay spiritually and physically healthy, we need to be in equilibrium with our environment. The flow of giving and the flow of receiving need to be balanced. The moment we radiate more of our light, make the transition from hypersensitivity to high sensitivity and become the angel that we are, the flow of giving increases. We exude a creative and beautiful light and share it with our environment, often without knowing it. The energy we put out into the world wants to come back to us in the form of (physical) abundance. This causes problems in many sensitives. Hypersensitive people often do not believe that life can be beautiful, rich and abundant for hem. They feel it would not be right, that they are not worth it and so they block the flow of receiving that wants to come to them. Religious traditions which teach you that it’s better to give than to receive, or that it is sinful to enjoy yourself, support this line of thought. Fear and doubt keep out the natural abundance that wants to come your way. Be attentive of this. Check for yourself if you are really open to what the universe would like to give to you, to all the love that is there for you. As long as you do not say ‘yes’ to what the universe wants to send your way, you have not truly said ‘yes’ to yourself. Say a loud and loving yes to yourself, to all of you. Accepting the flow of receiving in your life will then become natural for you.